Tablets are one of the hottest trends in tech. But should you choose Amazon, Android, Apple or Windows? Read our tablet reviews to find out more, and check out our choice of the three best 8-inch tablets of 2015. The 9.7 inch version of the Samsung Galaxy Tab S2 is almost unbelievably slim and lightweight, and feels good in the hand, with metal edges and a smooth easy-grip back. With an 8-core processor and 3GB of RAM, it's fast, and runs Android Lollipop without a hitch. It comes with 32GB of memory and is available in a choice of 4G or Wi-Fi-only. Outstanding! The Samsung Galaxy Tab S2 8 is an ultra-lightweight and superslim tablet with an incredible high-resolution AMOLED display and an 8-core processor. With a good camera and all-round connectivity, it could just be the perfect tablet. 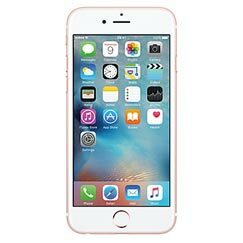 But its killer feature is something many will overlook - 32GB of memory plus a memory card slot is a major advantage over the iPad Mini 4. The Galaxy Tab S3 is Samsung's best ever tablet, with a premium build, lightning-fast processor, and superb 10-inch HDR-ready screen. Its quad speakers and optional keyboard are also welcome. But the price is crazy, and it's the first Android tablet we've seen that costs even more than the equivalent iPad. 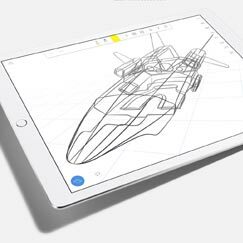 The 9.7 inch iPad Pro offers the same high performance as the full-size Pro, but in a more affordable and portable form. It's more capable than an iPad Air 2, with the new A9X processor, 32GB of RAM, and the 12 megapixel iSight camera borrowed from the iPhone 6s. It's not cheap by any standards, but is a very powerful and capable computing device. The Apple iPad Pro 12.9 inch pushes the capability of the iPad into new territory. The Pro is significantly larger, faster and more powerful than other tablets, and comes close to the potential of a MacBook, especially with the addition of the optional Smart Keyboard. Priced competitively, the Pro offers a lightweight alternative to a laptop. The iPad Air 2 is a thinner, lighter and more powerful replacement for the iPad Air. It's probably the best tablet you can buy in 2014. The iPad Mini 4 is the King of compact tablets. Impossibly thin, lighter and faster than before, and with outstanding front and rear cameras, the Mini 4 has the power of a full-size tablet in a compact form factor. With the ease-of-use of iOS9 and the extraordinary number of apps available, it's the tablet to choose if the price isn't a problem. Just be sure to think carefully about whether the 16GB version will be adequate. The Microsoft Surface Pro 4 is significantly better than previous versions, thanks to a better keyboard, new generation processors, an improved digital pen, and a slimmer, lighter design. It really is a device able to replace both a medium-powered laptop and a tablet. It's a superb and highly desirable device in every way, and only the high price stops it from getting an "outstanding" rating. Amazon Fire HD10 review - The Fire HD10 is a larger version of Amazon's low-cost tablet designed for use with a Prime membership. This gives you free access to a wealth of movies, TV shows, music, games and popular apps. It's ideal for a family, thanks to comprehensive parental controls, but the budget hardware and Amazon restrictions limit its capabilities as a general purpose tablet. Amazon Fire HD8 review - Amazon's low-cost Fire HD8 tablet is the ideal companion to Amazon Prime. With Prime membership, you can use the tablet to watch movies and TV shows on the move, as well as streaming music, playing games and using popular apps. You can try Prime free for 30 days. More demanding users, or anyone who doesn't have a Prime subscription, will find the device limiting. Amazon Kindle Fire HD 8.9 review - The Kindle Fire HD 8.9 is a full-size version of Amazon's popular 7 inch tab. Offering excellent value and with easy access to Amazon's content library, it's hard to beat for all but the most demanding users. Amazon Kindle Fire HD review - The Kindle Fire HD is a turbocharged version of the Kindle Fire. Absurdly cheap, it offers a HD display, HD video calling, dual Wi-Fi, good battery life and plenty of memory. Best of all is the easy access to Amazon's huge library of content. Amazon Kindle Fire HDX review - The Amazon Kindle Fire HDX is a very impressive low-cost tablet with a stunning display, superfast quadcore processor and the benefits of easy access to Amazon content. Just be aware that it doesn't allow access to Google Play. Amazon Kindle Fire review - The Kindle Fire is a stunningly cheap 7 inch tablet. Built around Amazon's huge library of movies, TV shows, songs, books, magazines and apps, the Kindle Fire is a great value, compact tablet that has a lot to offer. It may not have a camera, GPS or 3G, but what it does have is very good indeed. Amazon Kindle Keyboard 3G review - The Kindle Keyboard 3G is the Kindle for frequent travellers or anyone without easy access to Wi-Fi. The free 3G data access is convenient, as is the physical QWERTY keyboard and extended battery life. Amazon Kindle Paperwhite review - The new Kindle Paperwhite is Amazon's most advanced e-reader with a higher resolution, higher contrast touchscreen, a built-in light and double the battery life. Amazon Kindle Touch review - The Kindle Touch has all the benefits of the original Kindle, but with an intuitive touchscreen interface, stereo speakers, more memory and twice the battery life. Amazon Kindle Voyage review - The Amazon Kindle Voyage is a version of the ever-popular Kindle e-reader that's ideal for taking on holiday, or on a business trip. It has a compact design with small bezels and no physical keys. The front reading light enables you to read in any lighting conditions, and the extended battery life lasts for up to 6 weeks between charges. Amazon Kindle review - Unlike all-singing all-dancing tablets, the Kindle does only one thing, but it does it well. That thing is reading. We think it's the best tablet you can buy for reading ebooks. And the new low price makes it exceptionally good value for money. Apple iPad 2 review - The Apple iPad 2 is a truly amazing tablet. Equipped with a large 9.7 inch screen, it's big enough to work and play seriously, and the hardware needed to support it is all here: a dual-core processor, 512MB of RAM and up to 64GB of built-in memory. Add to this the polished performance of Apple's iOS 4 and the wealth of built-in and downloadable apps, and we think you'll get more for your money with the iPad 2 than with any other current tablet. Apple iPad 3 review - The new iPad is the tablet to buy unless you can't afford it or you're an Android nerd. With a large HD Retina display, a lightning-fast dual-core processor and the intuitive iOS 5, this is the tablet that's let you work, play and anything else you care to mention. With over 200,000 apps, many free and pre-installed, and an enormous library of digital content, there are few limits to what this device is capable of. Apple iPad 4 review - The iPad 4 updates the iPad 3 with a new connector, faster processor and HD video calling. It retains the amazing Retina display and build quality of the old iPad. With 4G compatibility and the wonders of iOS 6, it justifies its price as the king of tablets. 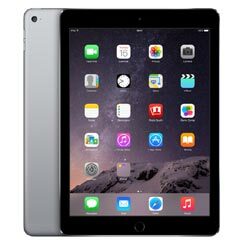 Apple iPad Air review - The iPad Air is a full-sized tablet that's slim, lightweight and superfast thanks to the A7 processor. It's quite probably the best tablet you can buy right now. 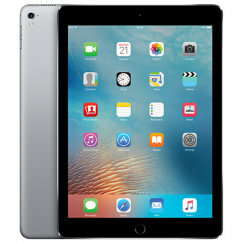 Apple iPad Mini 2 review - The iPad Mini 2 with Retina display is an iPad Air in a smaller size. Everything is here - from the Retina display to the A7 processor - just the size and the cost are less. 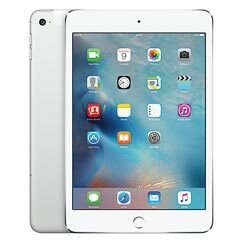 Apple iPad Mini 3 review - The iPad Mini 3 is a compact iPad with a Retina display and a fast A7 processor. It also now features a Touch ID fingerprint identity sensor for extra security. Apple iPad Mini review - The iPad Mini is a 7.9 inch version of the 10 inch iPad. It's half the weight of the 10-incher and even slimmer than the iPhone 5. Yet it does everything that the full-sized tablet can do. Why only 4 stars? Because the Wi-Fi-only version costs �100 more than rivals and the 4G version costs even more than the iPad 2! Asus MeMo Pad HD 7 review - The Asus MeMo Pad HD 7 is a low-cost 7 inch tablet that delivers a lot for your money. A smart build, HD display and quadcore processor are amongst its highlights. Asus ZenPad 10 review - A 10-inch Android tablet for around �150 is a bargain by any standards, and when it's nicely built as the ASUS ZenPad 10, we're certainly not complaining. Just don't expect this to be a high performance tablet, and you won't go wrong. Barnes & Noble Nook HD review - The Nook HD beats the Amazon Kindle HD in screen resolution, but we prefer Amazon's content to Barnes & Noble's at present. BlackBerry PlayBook review - The BlackBerry PlayBook has a powerful dual-core processor at its heart, a vivid 7 inch display and an intuitive gesture-based multitouch user interface. 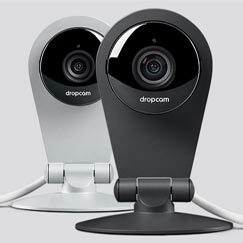 It connects securely to a BlackBerry smartphone for email access, and offers Full HD video calling over Wi-Fi. But its lack of 3G and very poor choice of apps count against it. Google Nexus 10 review - The ultimate Android tablet, with the fastest processor and highest resolution display available. It's missing 3G and a memory card slot, but it's the best you can buy for the price. Google Nexus 7 (2012) review - The Google Nexus 7 (2012) is a cute little tablet with a pin-sharp 7 inch screen, an insanely fast quad-core processor and the Android Jelly Bean OS. It's good value for money if you're looking for a compact tablet and are happy with just Wi-Fi. Google Nexus 7 (2013) review - The 2013 version of the Google Nexus 7 is a superslim and lightweight 7 inch tablet that won't break the bank. But don't let that deceive you - it has an outstanding 1080 HD screen, an ultrafast processor and comes in a choice of 16GB or 32GB with a 4G option too. Just watch out for the battery life. Google Nexus 9 review - The Google Nexus 9 is a mid-sized tablet with impressive performance and running the brand-new Android Lollipop 5.0. It's a nice tablet, but over-priced, and with limited amounts of memory preventing it from deserving 5 stars. HTC Flyer review - The HTC Flyer is a compact tablet with a 7 inch screen. Lenovo Yoga Tab 3 10 review - The Lenovo Yoga Tab 3 10-inch tablet has an integrated stand that's very handy for watching Netflix, but makes the tablet bulky, heavy and unwieldy in general use. Priced to sell, the tablet has a relatively low spec, but very strong battery life and excellent audio quality from its twin speakers. Lenovo Yoga Tab 3 8 review - The Lenovo Yoga Tab 3 8-inch is a low-cost tablet with a unique design. The Yoga features an integrated cylindrical core that houses the camera, speakers, battery and a built-in stand. You can use it to grip the tablet in portrait mode, or to prop it up in portrait mode for watching video. 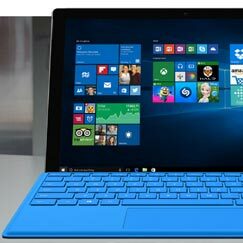 Microsoft Surface 2 review - The Surface 2 is a super-portable computing device with a snap-on keyboard and a wealth of pre-installed software including Microsoft Office 2013 RT. Microsoft Surface Pro 3 review - The 3rd generation Microsoft Surface Pro is the best so far, and the best candidate for replacing the power and productivity of a laptop with something more compact. It's more a portable laptop than a tablet, however, and the price is very high. Microsoft Surface Pro review - The Microsoft Surface Pro delivers the power of a laptop with the convenience and portability of a tablet, but it's expensive and there are necessary compromises. Microsoft Surface RT review - The Microsoft Surface RT is a unique tablet/laptop hybrid with a touchscreen and a snap-on keyboard. It's more powerful than rival tablets, but the choice of apps is limited, it's not fully mobile, and Windows RT has its limitations. S21 Best Tablet awards 2013 - Here we pick the very best tablets of 2013 in a number of categories. Samsung Galaxy Note 10.1 (2014) review - The 2014 version of the Galaxy Note 10.1 is a 10 inch tablet with an octa-core processor, split-screen multitasking, strong media capabilities, an S-Pen digital stylus and good battery life. It's one of the highest-spec tablets available. Samsung Galaxy Note 10.1 review - The Galaxy Note 10.1 is a 10 inch tablet with a quad-core processor, split-screen multitasking, strong media capabilities, an S-Pen digital stylus and good battery life. It also runs Google Ice Cream Sandwich and comes with Adobe PhotoShop Touch pre-installed. Samsung Galaxy Note 8.0 review - The Galaxy Note 8.0 is a mid-sized tablet with the benefits of 3G and an S-Pen stylus. It's a fast, quad-core device with plenty of memory but expensive. 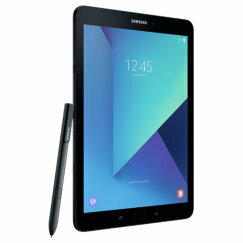 Samsung Galaxy NotePRO 12.2 review - The Samsung Galaxy NotePRO 12.2 is perhaps the ultimate tablet, adding S Pen support to the TabPro 12.2, for the largest screen of any tablet and one of the most powerful processing capabilities too. Samsung Galaxy Tab 10.1 review - The Samsung Galaxy Tab 10.1 is the best Android tablet we've seen and a close rival to the Apple iPad 2. Samsung Galaxy Tab 3 10.1 review - The Samsung Galaxy Tab 3 is an excellent 10 inch tablet, and is very good value for money now that the price has fallen significantly. Samsung Galaxy Tab 3 7.0 review - The 3rd generation Samsung Galaxy Tab 7.0 is an ultra lightweight tablet with a 7 inch screen. Recent price slashes in the run-up to Christmas now make this an attractive option. Samsung Galaxy Tab 3 8.0 review - The 3rd generation Samsung Galaxy Tab impresses in its 8 inch form, with a superslim design, HD screen, plenty of memory, good battery life and the latest Jelly Bean release of Android. 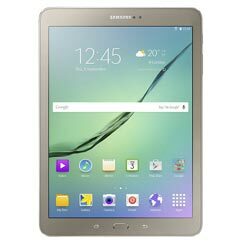 Samsung Galaxy Tab 4 10.1 review - The 10-inch version of the Samsung Galaxy Tab 4 doesn't have a lot going for it, except for its low price. It's generally under-powered, but is probably sufficient for the less demanding user, and is certainly a bargain. 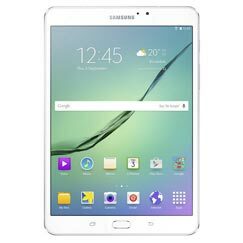 Samsung Galaxy Tab 4 7.0 review - The Samsung Galaxy Tab 4 is a compact tablet with a small 7 inch screen and entry-level performance. It's lightweight and sturdy, and suitable for use by young families, but it's expensive for what you get. Samsung Galaxy Tab 7 review - The Samsung Galaxy Tab 7 is a compact tablet with a 7 inch screen. Running Android 2.2, the Galaxy Tab seems dated when compared with the latest tablets. Samsung Galaxy Tab A 9.7 review - If you're looking for an averagely-sized, averagely-priced tablet with average specs, the Galaxy Tab A is for you. 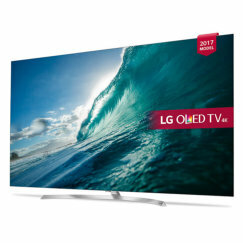 Its best features are its slimline, ergonomic design and smart looks; the main negative is the low screen resolution. Overall, it's a good basic tablet. Samsung Galaxy Tab S 10.5 review - The Samsung Galaxy Tab S is very close to being the perfect tablet. With a large 10 inch AMOLED screen, ultraslim design, octacore processor and plenty of memory, it has everything we need. Samsung Galaxy Tab S 8.4 review - The Samsung Galaxy Tab S is one of the very best Android tablets released in 2014. 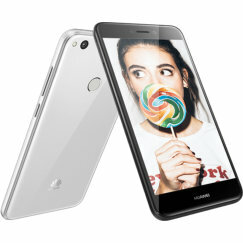 The 8.4 inch model is a good size, and is extremely competitively priced. Its top features must be its ultraslim form factor and outstanding AMOLED display. Samsung Galaxy TabPRO 10.1 review - The Samsung Galaxy Tab PRO 10.1 is a full-sized tablet with a smart ultraslim design, octa-core power and a practical, robust build. Samsung Galaxy TabPRO 12.2 review - The 12 inch version of Samsung's Galaxy Tab PRO is super-sized and super-powered, and is faultless if you're looking for a truly capable tablet. Only the high price and high weight count against it. Samsung Galaxy TabPRO 8.4 review - The Samsung Galaxy Tab PRO 8.4 is a mid-sized tablet with a smart ultraslim design, impressive performance and a spectacularly sharp 8.4 inch screen. Sony Xperia Tablet Z review - Sony's Xperia Tablet Z is the slimmest tablet ever and performs just as well as it looks. It's simply one of the very best tablets available. Sony Xperia Z2 Tablet review - Sony's new Xperia Z2 tablet is the slimmest, lightest 10 inch tab, and it's waterproof too! Faster than before, with more memory, it also features superb sound, camera, battery life and connectivity. Yum! Sony Xperia Z3 Tablet Compact review - Sony's Z3 Tablet Compact is a stunningly beautiful and powerful device. It's super-slim, super-lightweight and just generally super-everything. It's expensive for an 8 inch tablet, but it's built to last. Tesco Hudl review - The Hudl: it's the low-cost tablet phenomenon from Tesco that's sweeping the nation! Vodafone Smart Tab II (7 inch) review - The Vodafone Smart Tab 2 is an entry-level 7 inch tablet running Android Ice Cream Sandwich and offering the benefit of 3G HSPA connectivity in addition to Wi-Fi for true portability.